In a very interesting upcoming of events in football world following the hosting choices, Sepp Blatter FIFA President was also a part of the show. He in a statement issued said that gays travelling for 2022 Football World Cup in Qatar should abstain from any sexual activities. This as a result sparked serious criticism amongst the gay rights group showing displeasure upon the approval of Qatar for the World cup hosting. It is to made clear that homosexuality is illegal in Qatar.Qatar, an Islamic country was the surprise package for the hosting of the world's most prestigious and world wide acclaimed sporting event. They in the process beat Australia, United States, and Japan on 2nd December and Russia on the other hand was awarded hosting for 2018 World Cup. 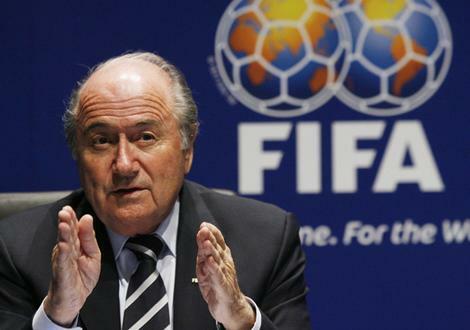 Blatter also told that the objective of FIFA was to promote the game not any objectives like money or personal gains. Also that there shall no discrimination,racism as well. If anyone likes to come watch a match they must, surely they will be enjoying the spirit of the game,and would be game on for everyone.If someone sees problems so there is plenty of time to rectify them. On the other hand John Amaechi first NBA star who disclosed to be gay was very critical of FIFA, and explained his disgust as:"If sport cannot serve to change society, even temporarily during the duration of an event like the World Cup that invites the world to participate, then it is little more than grown men chasing a ball and we should treat it as such." "It is the development of the game. We have to take to places where it can improve and have a social and cultural impact. And it's what we did here in Africa."